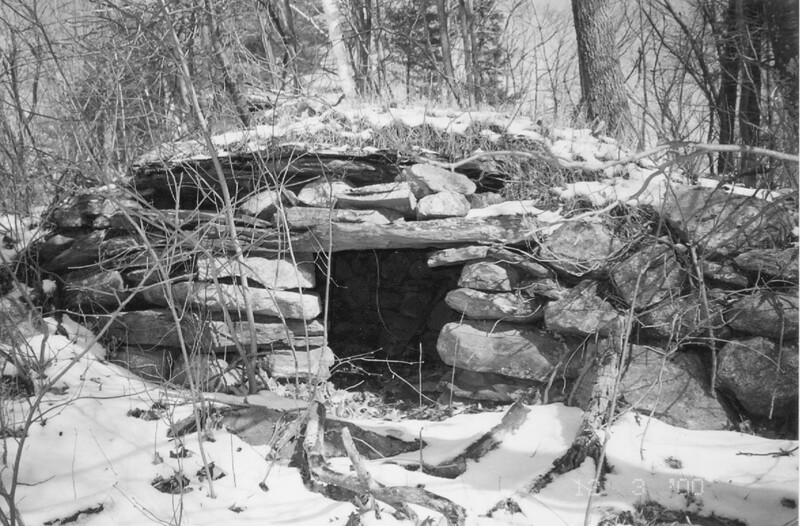 There are hundreds of mysterious stone structures found throughout New England. There is no one consensus about who built them or why. The most famous stone structures, locally, can be found at Mystery Hill, in North Salem. It is argued by some that these were built as root cellars for the early settler’s, or by others that they were built by the Native Americans. The most interesting conjecture was by William Goodwin, who believed that they were built by Celtic Culdee monks, long before the advent of the Norsemen. He outlines all his theories in his book “The Ruins of Great Ireland in New England.” There is even a researcher who believes that they were built by a lost colony of the Knights Templars and that they are connected to Oak Island in Nova Scotia. Steven Sora’s book is “The Lost Colony of the Templars: Verrazano’s Secret Mission to America. Windham too, is home to these structures. 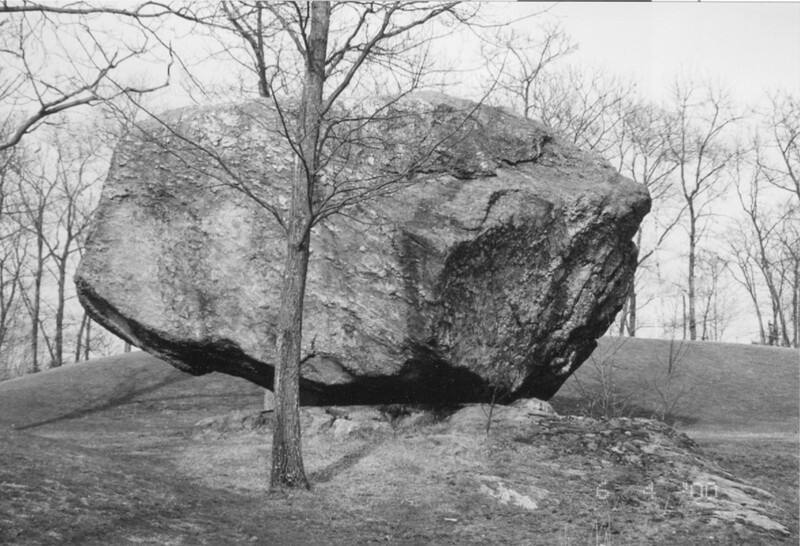 Butterfield Rock in Windham, looks exactly like a huge, megalithic Dolmen similar to those found in Europe, that were constructed between 3,000-7,000 B.C. Then there is the nicely preserved beehive structure that is located on Beacon Hill Road in Windham. Large stone slabs make up the roof and the floor. NEARA created a site report for this structure. There are over 800 of these stone structures scattered throughout New England. The question then becomes how, why, when and by whom were they built? If you ever feel that you want to travel down the rabbit hole surrounding these mysterious stone structures, then head online to the New England Antiquities Research Association website at: neara.org. The photographs are fascinating and you’ll spend an hour or so with your mouth wide open, just wondering why these stone structures exist in New England. If this isn’t strange enough, check out Ancient Origins at ancient-origins.net. You’ll learn about the cover-up of the Smithsonian and other prestigious archeological research institutions. It seems that these institutions had an agenda and they did not like what was being found in the ground, because it did not back up their theory of origins. Why were the skeletons of real giants, with red hair, double rows of teeth and six fingers, showing up in large numbers in ancient Indian burial mounds? Did they build the megaliths? Why was is said of Passaconway, one of the most famous Native American sachems in New England, that he was extremely tall, had red hair and could perform magic. Of course, we know what ancient alien theorists would say, don’t we. Well here’s what I say, human beings understand less than 1% of the reality of existence . Most of human perception is acquired from outside of us, through bits of information over time, that creates a personal narrative loop in our minds, that feels perfectly rational, but much of which is simply false. The truth about ancient origins is beyond our current understanding and if we could know for sure, I think it would be much stranger than fiction. Its in admitting our unknowing, from inside, that truth is found. Wow, I feel much better, and totally liberated now! A huge Megalith? Butterfield Rock in Windham NH. The work of glaciers or something else? “The (two) Beehives were completely destroyed for construction of new Interstate Route 93. There was one other large rock or roof slab that had many drill holes on it. It wasn’t saved and it along with the other stuff is now under the North bound lane of Route 93. Mr. Griffin took about 6 pictures (colored) before the Site was destroyed. In 1959 (sometime after the questionnaire was filled out) he took Mr. R Elston (then Manger of Mystery Hill) along with some tall lanky professor and his son to see the Beehives on a very rainy evening. (Note-I was never informed of this). The professor told him that it wouldn’t do any good to try to have them saved seeing as how they couldn’t save the large Site in Mass. To make room for Route 495. (Note—this Site must have been the Hill of Cairns, in Bolton, Mass.) The site in Mass. Included many Beehives (note-This is questionable). There is still another oddity on this property and that is some sort of built-up earth work like a small watershed. Mr. Griffin told of seeing a book in the Lawrence Library concerning caves in New England. The book stated that the North Salem structures were the largest and should be surrounded within 3 or 4 miles by many single structures. Has a lane between house and barn, down this lane about 1/2 mile is the rock he saved. It now rests on another slab. The Rock Slab with the markings on it that he saved is about 18’ x 3’ x 4’ and it was once part of the entrance of one of the beehives. It was one of the bottom rocks. This particular beehive was badly damaged, so much so that the front roof slab was on the ground next to the above mentioned slab. He, Elston, and the Professor pulled moss off from the roof slab, and found a series of round drill holes. The professor said that some early Colonialist tried to use the rock for something else, and gave up. The rock with the markings actually has only one marking and it is a “V” shaped wedge mark across the top. The pictures he took are 35 mm slides and he will try to find them for me to have copied. The Professor was very angry in that he would need about 6 months to excavate the structures and wouldn’t be able to come back until about 2 weeks. By then, it was to be destroyed. Note: On February 20, 1965, I went to Mr. Griffin’s property and found the slab with the “V” marking. I took three pictures each of B&W and colored. R.E. Stone, February 24, 1965. The following is the description of the site the Any Griffin wrote on the Mystery Hill questionnaire: On the west shore of Canobie Lake we have a location which seems as if it might have some connection with your caves. It appears to be a single hut with large stones similar to your type. It is a considerable distance from any building and on the side of a hill. It appears as though the large stones have been hauled some 300 feet or more to the present site. If you care to take a look at the location you may contact me at Murdock 3-1217. A.J. Griffin. Of course, there was one other stone structure like these in Windham. It was on Butterfield Rock Road. It was destroyed when Chestnut Street was built in the 1980’s. We came upon it on a Boy Scout hike, when I was a kid. Meetinghouse Road was still a dirt path through the woods and Butterfield Rock Road was even rougher and narrower. The stone structure was built into a hill, was quite large, and was in kind of an open meadow at that time. This entry was posted in Windham NH History and tagged cairns new england, culdee monks, megaliths new england, stone behives, Templars in New England. Bookmark the permalink.